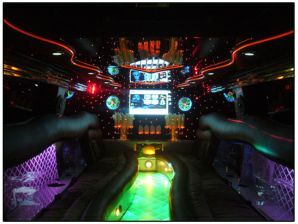 Find Some Of the best SUV Limousines In Los Angeles with Los Angeles Limo including this Hummer Limousine which features: Black with Tan Interior These 240" super-stretch limousines feature magnificent wing doors, 32” flat screen TVs, disco floors, fireplace, disco lights, state-of-the-art sound system, x-box, karaoke machine, iPod connection, white marble bars, a stainless-steel starlight headliner, and luxurious two-tone seats. 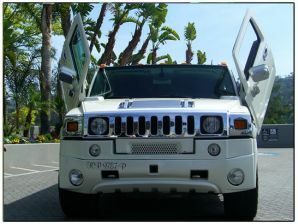 Call now to reserve this Hummer Limo In Los Angeles. Hummers and Escalades are some of the most requested limos in the transportation industry this is why we bring you some of the best SUV limos including these fine vehicles, so make sure to contact us today so you can reserve a Hummer Limousine before there all booked out!
" The Hummer Limo was the best! We had so much fun in it, there was lots of space for everyone to party! 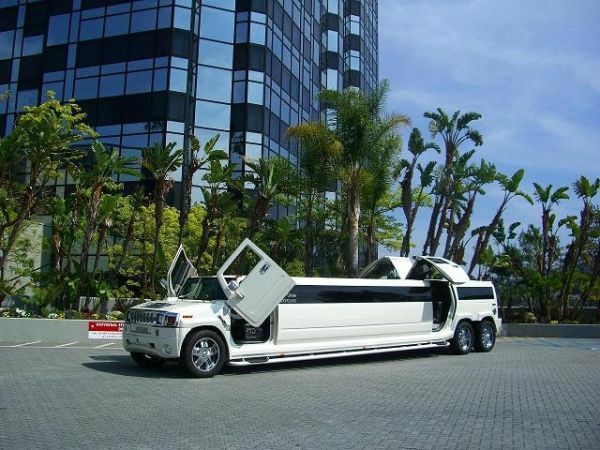 Thank You Los Angeles Limo!!"